Amazon's announcement that it will bring 25,000 jobs to the D.C. area presents a prime opportunity (pardon the pun) for local job hunters. Here's what is known so far about all those jobs that are coming to the newly christened "National Landing." WASHINGTON — Northern Virginia got the confirmation message early Tuesday: Amazon is delivering 25,000 jobs directly to D.C.’s doorstep. Q.: When will Amazon start hiring? A.: According to an agreement between Amazon and the commonwealth, only 400 will be hired in 2019. It gets better in 2020, when nearly 1,200 positions are set to be filled. By 2030, that number will increase to 25,000, and it could grow even more in the years following. Q.: Where will Amazon post job openings? A.: They will be on Amazon’s jobs page. Bookmark it, and start updating that resume. Q.: What kind of jobs will they be? So it’s techy stuff, as you’d expect. That said, expect openings in related fields as well. Q.: How much will the jobs pay? A.: According to Amazon’s announcement, the average salary of these jobs will be over $150,000. Q.: How else will the area’s job market benefit? A.: As part of the plan, the commonwealth is investing $1 billion in a Virginia Tech “innovation campus” for graduate students studying computer science, software engineering and data science. It will be in Alexandria’s Oakville Triangle, just miles away. It will serve not only as a pipeline for future hires, but also as another place that could be hiring. Q.: Where, exactly, is Amazon setting up? 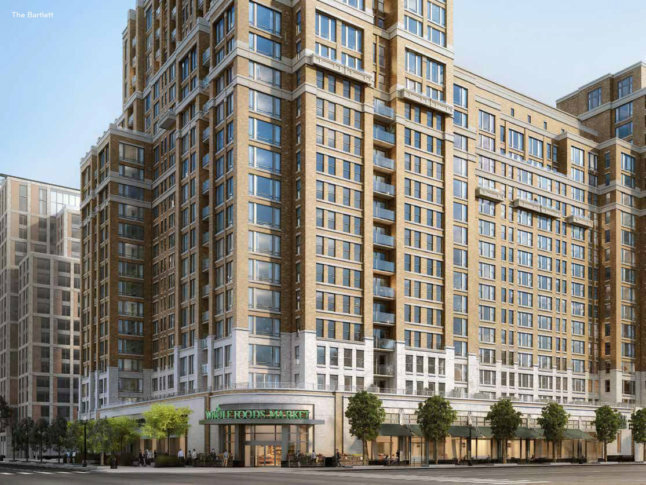 A.: The Post reports that the first building used will be at 1851 S. Bell St. or 1770 Crystal Drive in Arlington. Amazon’s plan is to fill 4 million square feet of office space around National Landing, with the possibility of expanding its total footprint to 8 million square feet. Q.: Which Metro stations will the new workforce primarily use? Q: How will area infrastructure be improved to accommodate commuters? A.: Virginia will be investing $195 million into regional infrastructure, including improvements at the Potomac Yard and Crystal City Metro stations and the construction of a pedestrian bridge that connects National Landing with Reagan National Airport. Q.: How will the National Landing workforce compare with the one at Amazon’s Seattle mothership? A.: It won’t be as big, but it’s worthy of a five-star review. In the Seattle area, Amazon was employing 45,000 and had 8,000 positions open as of Tuesday afternoon.